Owner, director and lead instructor of the Santa Barbara Body Therapy has trained thousands of students in massage therapy and bodywork. Katie has overseen tens of thousands of massages to the greater SBBTI community through SBBTI’s student clinic and community outreach. She has also provided training for Ojai Valley Spa, Valle Verde and Hospice of Santa Barbara. Her graduates are successfully practicing throughout the tri-counties in spas, physical therapy offices, corporate massage venues, and various private practices. 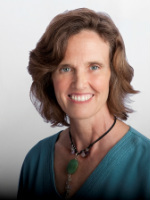 Kathleen's educational background includes: The Institute for Holistic Studies, The Santa Barbara College of Oriental Medicine, The School of Intuitive Massage, The Body Therapy Institute, The International Institute of Reflexology, The Alive Polarity Foundation, The International Academy of Holodynamics, The Upledger Institute, The Integral Institute of Tai Chi and Qigong, The Center for Nonviolent Communication, Access Consciousness, Landmark Education and Leadership Santa Barbara. In addition to her full schedule as Director and Instructor for SBBTI, Katie currently serves on the school advisory board to the California Massage Therapy Council and advisory board to Ophora Water Technologies. Bodyworker since 2012.Brandon is a graduate of SBBTI’s 550 program. Along with his certification in Personal Training, Brandon has also studied Neurokinetic Therapy (NKT), for which he continues to co-lead the Santa Barbara NKT study group, host an NKT podcast and assist in the NKT seminars throughout California. As a lifelong athlete, Brandon understands kinesiology from a personal perspective, competing in SB’s league beach volleyball tournaments and runs multiple Tough Mudder’s each year. Brandon has worked at UCSB in their many programs including: the Athletic Performance Center, Workstrong Occupational Health and Wellness, Student Health and Supervising the Wellness and Fitness Institute and its Health Coach internship. He currently conducts a private practice in Orthopedic Massage and Deep Tissue. Bodyworker since 2006. Instructor Since 2008. Rachael has extensive experience in Thoracic Outlet Syndrome, Post-Surgical Lymphatic Drainage, Visceral Manipulation, Sports Massage, Athletic Taping and Deep Tissue. She conducts a Montecito private practice, networking with local Plastic Surgeons, Cosmetic Dentists, Athletic Trainers, Physical Therapists, Sports Medicine MD's and Deep Tissue Specialists. graduates of Rosalyn Bruyer's Crucible program. Bodyworker since 1998, Nancy is a graduate of SBBTI’s 1000 hour Holistic Practitioner Program and has studied with various teachers including the late John Harris, Carolyn Thompson, Jordan Terry, Mary Sullivan and Nell La Blanc. She has mentored under Ventura chiropractor Dr. Sage, learning Spinal Mobilization in 2015. She is a 500 hour graduate of SBBTI’s Medical Qigong Therapist Program, and currently busy in her own private practice while apprenticing with Matthew Jones in advanced Medical Qigong therapy. Bodyworker since 2008. 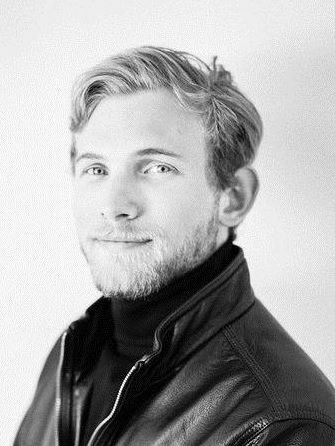 Erick is a graduate of SBBTI's 1000-hour Holistic Health Practitioner Program and has a private practice specializing in sports massage, trigger point and Asian bodywork. As a true Renaissance man, he began his studies with a BS in Psychology and worked as a psychiatric nurse, staff trainer, and clients rights advocate in California mental health facilities from 1985 thru 2010 while developing his musical skills and being a guitar instructor from 1998 to the present. During his final week on earth, John Harris, our former and forever instructor extraordinaire and Erick’s mentor, called Erick “his legacy” to all of us. Nell brings extensive training and experience to the therapeutic use of acu-points in her acupressure courses and workshops. She was introduced to acupressure and Chinese systems of healing eighteen years ago during her martial arts, Tai Chi and Qigong training. She has earned a second-degree black belt in Kyusho Jitsu Karate, the art of pressure point fighting. The requirements for this rank included an in depth study of TCM principles, acupressure points, related meridians, applications for healing, and restoring Qi flow in the body. This led Nell to develop a thriving bodywork practice. Nell is a graduate of SBBTI's 550 hour program. She has a Bachelor of Science degree in Nutrition from Arizona State University, and in addition to massage has worked in the community as a health educator, Tai Chi, Qigong instructor, and coach for weight management programs. Nell currently offers acupressure, Tui na, Swedish Deep tissue and variety of other massage styles in her private practice called "Qi Massage". Economic Ventures (WEV) "Self Employment Training" course. Instructor, LMT, PT Asst. LE. spa related workshops to help inspire each student to reach their professional excellence. practice as a licensed acupuncturist and bodyworker in Santa Barbara, Fresno and North Fork. Kathleen brings a rich teaching and medical background to the classroom. She has taught in the public school system for 16 years Junior and Senior High School, in Health Education, Biological Sciences and various subjects. She has also worked in the capacity of Xray tech within the Emergency Room, Surgery, Orthopedic and Outpatient Clinics. As a Medical Assistant and CNA she worked in the Hospital, Home Healthcare and Outpatient Clinics. In addition to her time in the classroom with students, she maintains a private practice within a retirement community and private clients.